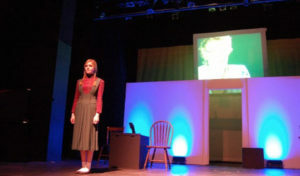 And Then They Came for Me: Remembering the World of Anne Frank is a unique theatrical experience: a multimedia play that combines videotaped interviews with Holocaust survivors Ed Silverberg and Eva Schloss and live actors recreating scenes from their lives during World War II. Ed was Anne Frank’s first boyfriend, and she wrote about him in the beginning of her now-famous diary. Eva Schloss was the same age as Anne Frank and lived in the same apartment building in Amsterdam. Her family went into hiding the same day as the Frank family. And like the Frank family, they were betrayed. 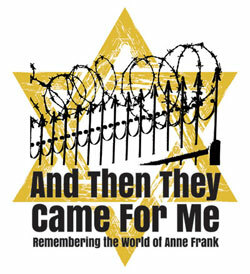 On Eva’s 15th birthday, her family was arrested by the Nazis and sent to concentration camps. 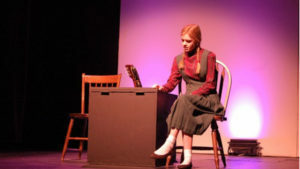 Part oral history, part dramatic action, part direct address, part remembrance, And Then They Came for Me: Remembering the World of Anne Frank breaks new ground and has been acclaimed by audiences and critics in world-wide productions. 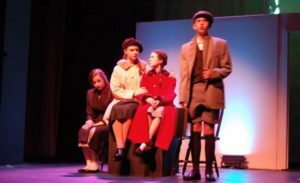 This program is supported in part by grants from the Easton, Foxboro, Franklin, Mansfield, Norfolk and Sharon Cultural Councils, local agencies which are supported by the Massachusetts Cultural Council, a state agency.